Thank you for visiting our web site. You have landed at the home of Sarasota County, Florida's premier cleaning services company. We provide a wide range of cleaning services, including: house cleaning; maid service; deep cleaning; office cleaning; move-in cleaning; move-out cleaning; REO-Foreclosure cleaning; window washing; and more! We invite you to explore our site to learn more about what we do, how we do it, and why we are the very best choice for cleaning services in Sarasota County, Fl. Whether you live in Venice, North Port, Osprey, Englewood, Nokomis, or Sarasota, our team is ready to provide you with Premium Service and Superior Results...Guaranteed!. Whatever the need it's always best to start with a brief meeting to discuss your project in person. At this time we will provide you with a written estimate and go over all the details of our service, including scheduling. To schedule a FREE ESTIMATE for house cleaning, maid service, deep cleaning, office cleaning, move in or move out cleaning, window washing and more - or to discuss a special cleaning project you need help with - please Contact Us online, or call us at 941-567-7387. For answers to some of the most common questions about our service, please visit our Terms of Service page and our FAQ page. And please remember: NEVER HIRE A CLEANER or a CLEANING SERVICE over the internet. Click here for advise on hiring a cleaning service for your home. Never Tried a Cleaning Service? Hiring a cleaning service to clean your home or office is a very important decision. When it comes to the safety and care of your home you definately want to be cautious about who you hire. Read our Tips and Advise on Hiring a Cleaning Service. Hire a Pro Cleaner for the Day! Our customers think we're pretty special. Read for yourself what our satisfied clients have to say by clicking here. We can work with you on just about any type of cleaning project you have in mind for your home or office. Hosting an upcoming party at your home? Let us help by thoroughly cleaning your home before and after the event! To discuss your special event cleaning needs, please call 941-567-7387, or contact us online. You're just a few clicks away from making a great decision! Click here to request your free estimate. We can see the smile already forming on your face! If you live in Venice, Nokomis, Osprey, Sarasota, Englewood, or North Port, we can provide great service to you! We clean house in some of the finest residential communities in Sarasota County, FL. Whether you live in Sarasota, Osprey, Nokomis, Venice, Englewood, or North Port, chances are good we already work in your neighborhood! Check out our list of residential communities to see if we provide service in the neighborhood where you live. 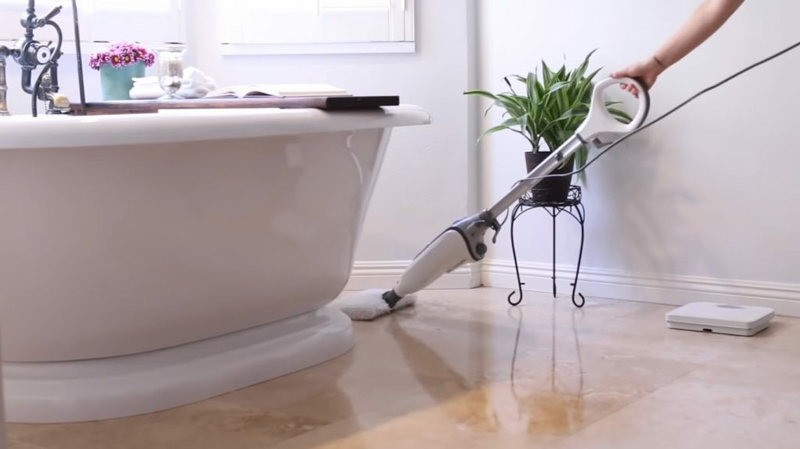 We provide house cleaning and maid service to clients in some of the most elite communities in Sarasota County, FL. Click the image to see if we already provide service where you live. You Will LOVE Our House Cleaning Service! Click on any of the brochure images below to view as a PDF file. Brochures will open with Adobe Acrobat Reader and you have the choice of saving the file, or printing it. If you don't have Adobe Acrobat Reader you can quickly download the program by clicking on this link. Click here to visit our deep cleaning page or click the image below to view brochure. Deep Cleaning your home or office is one of our specialties and the results are quick and very impressive! Deep cleaning service available in Sarasota, Osprey, Nokomis, Venice, Englewood, and North Port. Deep Cleaning Service brochure. Click image to download/open as a PDF file. Click here to visit our house cleaning page or click the image below to view brochure. Our house cleaning service ensures your home stays consistendly clean and fresh! And your first house cleaning is FREE! House cleaning service available in Sarasota, Osprey, Nokomis, Venice, Englewood, and North Port. House Cleaning Service brochure. Click image to download/open as a PDF file. Click here to visit our express maid service page or click the image below to view brochure. Live alone? Own an apartment or condo? Then our express maid service is perfect for you! Great results in just 1 hour! Express maid service available in Sarasota, Osprey, Nokomis, Venice, Englewood, and North Port. Express Maid Service brochure. Click image to download/open as a PDF file. Click here to visit our Move-In/Move-Out services page or click the image below to view the brochure. Whether you are listing your home for sale on the market, moving in to a new home, or moving out of your existing home, our deep cleaning service can be a real life saver! Move in / move out cleaning service available in Sarasota, Osprey, Nokomis, Venice, Englewood, and North Port. Move-In and Move-Out Cleaning Services brochure. Click image above to download/open as a PDF file. Click here to visit our Office Cleaning and Janitorial Services page or click the image below to view the brochure. We clean all sorts of offices, both large and small. Whether you need a quick office cleaning or full-service janitorial services, we can help! Office cleaning and janitorial service available in Sarasota, Osprey, Nokomis, Venice, Englewood, and North Port. Commercial Cleaning for Offices brochure. Click image above to download/open as a PDF file. Click here to visit our REO-Foreclosure Cleaning Services page or click the image below to view the brochure. Real estate professionals and investors: look to us to get your REO foreclousre listings cleaned up and ready for rent or sale. REO-Foreclosure cleaning services available in Sarasota, Osprey, Nokomis, Venice, Englewood, and North Port. REO-Foreclosure cleaning services brochure. Click image above to download/open as a PDF file. Did you know that single mothers account for one of the fastest growing segments of Sarasota County's unemployment rate? According to the county's recent report on economic development, it's true. Every new client that chooses our company for their cleaning needs is helping to secure a brighter future for single moms and their families by providing them with steady employment, either part time or, in some cases, full time. On average, every time we gain ten new clients we are able to hire a hard-working, dependable, single mom. Is a Cleaning Service Right for Me? A client recently said to us: "Hiring your company to clean my house is one of the best decisions I've ever made." Wow. What a compliment! The benefits of having a house cleaning service are many. How much time do you spend each month cleaning your house? For some people the number is between 16 - 20 hours per month! What could you do with all that extra time? Shopping? An extra round of golf? Extra walks on the beach? Hmmmm.....? Starting to see the point? If you are struggling with your decision or if you just don't know how to go about hiring a cleaning service, we can help! Click image above to read the full article.